Stuck after hours with a project? 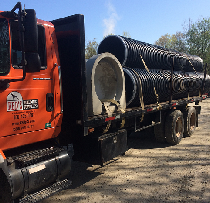 Red’s Building Supplies, located on Route 87 at the Franklin/Bozrah town line in Eastern Connecticut is a family-owned small business serving contractors, small businesses and homeowners alike. 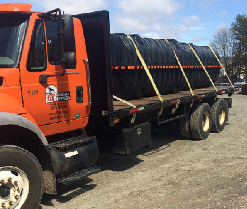 With over twenty years of experience in the field, we offer friendly, personalized service and only carry quality brand name products at competitive prices. 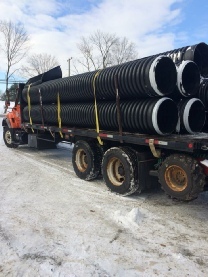 We sell a wide variety of building and landscaping supplies from water, septic/sewer and storm drain materials to roofing, siding, fencing and the tools, materials and supplies you need for any project, large or small. We want your business and we will work hard to keep it. Homeowners are always welcome. 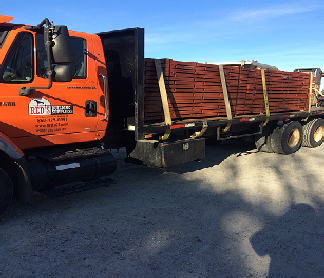 Looking for quality pavers and wall block material instead of the cheap stuff at the big box stores that will fade over time? Protect your investment, ours will never fade and your project will look great forever. Come visit our display yard to see how your project will look before you buy. Looking for new windows and doors? We carry high-quality products from several vendors at competitive prices. Tired of buying cheap tools at the big box stores that usually break or wear out quickly? We carry the tools and equipment the professionals use every day – come on by or give us a call. Looking for some mulch to spruce up the yard? Red, brown or black, we have it in bulk or bags. Maybe some new roofing perhaps? Yep we have that too and delivery is always available. Come to Red’s or give us a call – you’ll be glad you did. 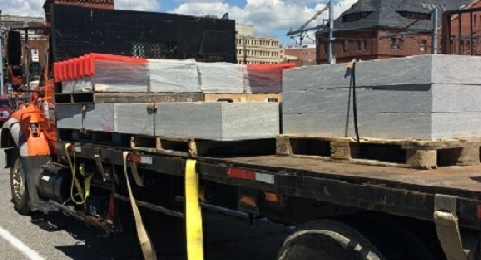 Red’s now carries Nicolock, Rosetta Hardscape, Unilock and Techo-Bloc pavers and wall block selections. Stop by and check out our new wall block and paver displays. See how good our products will look in your yard. Remember, Red’s only carries quality products! Looking for some slabs of granite to make steps, patios, whatever? Yep, we have that too! 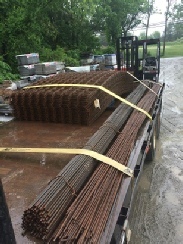 Here’s a load going to one of our customers out on Fisher’s Island N.Y.
Rebar cut and bent to your specification!!! Red’s is always adding new products and services. 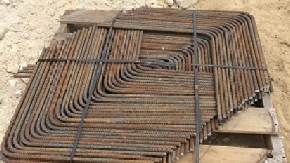 While we have always offered all sizes of rebar to our customers, Red’s can now cut and bend rebar to your specifications, with some lead time required depending on the size of the order. Check our our first on-site, neatly packaged delivery above! Red’s just keeps delivering for our customers. 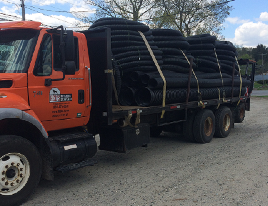 Need some drain pipe? Duraform panels? Sidewalk forms? Metal roofing? Insulation? 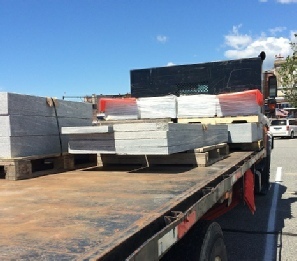 High quality wall block or pavers? Septic tanks? 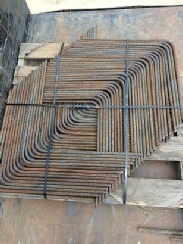 Quality fencing? Laminate or Vinyl Flooring? Porcelain flooring? Composite Decking? High quality hand tools? Yep we have all that too. Need to do a project but short on cash? No need to hold off any longer, let Red’s help you out. If I can’t get it, you don’t need it! 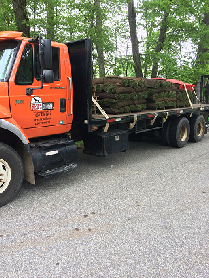 How about a nice load of fresh sod? Direct from the farm to your place & fresher than the big box stores for sure! It must be Spring - Red’s is now open on Saturdays from 8am to noon. Time to clean up the yard from everything winter threw at you. Need some mulch? Bagged or bulk, red, brown or black and delivery always available. We have kept our prices the same as last year - that’s right, no increase this year. Don’t be shy, give us a call or come on by.